I am on the search for a new book to read. As I mentioned in the past couple of posts, I just completed WILD by Cheryl Strayed. It was pretty good. It definitely put me in a different state of mind, contemplating what I would do if I ever embarked on an 1100 mile hike. I guess we all have some kind of insurmountable "hike" like that. I actually have several journeys to travel to overcome all of my "hikes". God-willing, I will accomplish them all in this lifetime while I'm relatively young enough to enjoy the triumph. That is all beside the point though because this post is about books. I am on a search for a book to read. My biggest problem is that I am unable to commit to one particular book or an author to read. I absolutely love Stephen King and Dean Koontz. I have probably read more of their books than any other authors out there. However, I am not really looking for that type of book. I kind of want to read a really good love story. When I was fresh out of high school, I picked up Flyy Girl by Omar Tyree. This was in the era when Waiting to Exhale came out and the genre of "Urban Romance" came forward. Though I could not identify with how the characters were portrayed, I love being able to peer into another persons world. I suppose that's the best thing about reading... being a fly on the wall, observing everything, and contemplating how I relate to the story. Every now and again I really love a historical novel. A novel that weaves history and fiction and the complexity of life into a beautiful story. Shark Dialogues by Kiana Davenport really did a number on me. I was so moved by the issues that the author focused on while still telling a fantastic story. 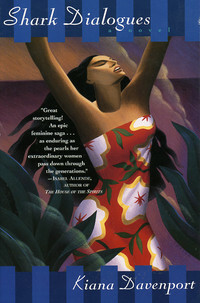 It chronicles the life of several women whom are all related and all deal with their island heritage differently. The story is heartbreaking more than a story of triumph but sometimes the stories that hit closest to home are the ones that illuminates the reality of grief. 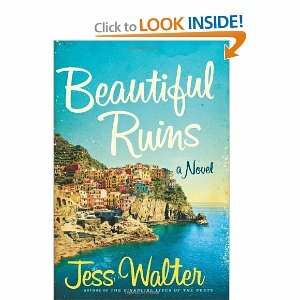 Beautiful Ruins by Jess Walter. I didn't read all of the reviews because I hate SPOILERS but I did read enough to pique my interest. Love, a little bit of history. Let's do this! I read Shark Dialogues and loved it. I want to know more personal stories from our Hawaiian history. It is relatable and I crave more from of it. Hopefully I can get to all of them an more. You may have read the last two if you're part of Oprah's book club. Happy reading! Please keep suggestions coming.